Premium content marketplace dotWriter™ gets acquired by Ad network Mediastinct™. 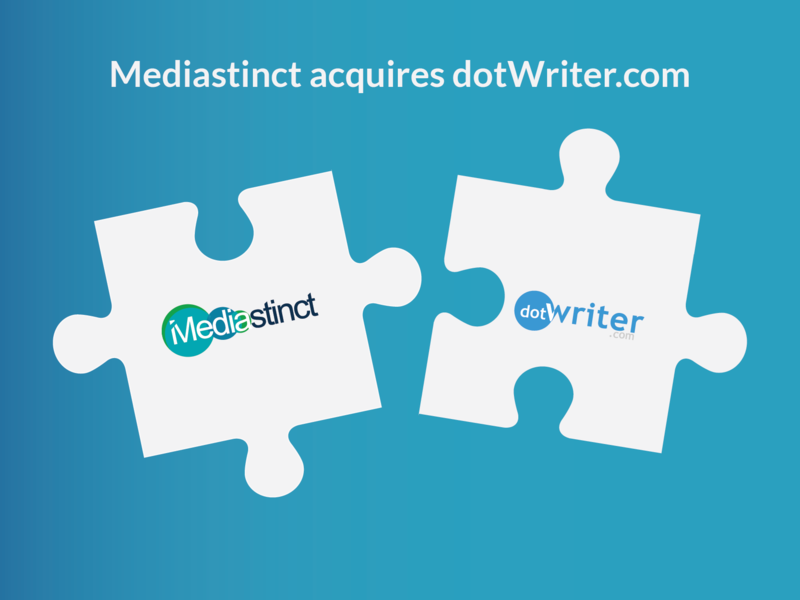 Mediastinct™ is happy to announce the recent acquisition of dotWriter™ – one of the world’s top premium content marketplaces. This acquisition will enable the ad network to provide content solutions to businesses and bloggers in the US and other markets. The latest addition to Mediastinct™’s growing network will function as the company’s sister concern and will create a marketplace for buyers and sellers with the aim of meeting the content needs of any business, blogger or site owner. Besides the content marketplace, Mediastinct™ has previously acquired local search agency SEMP.com as well as a premium domain portfolio of over 300 domains. dotWriter™ will be exhibiting at this year’s ad:tech New York conference in November. Mediastinct™ is an Ad Exchange providing search, video, mobile, native and display advertising solutions globally. The ad network serves billions of impressions per day with over hundreds of advertisers and publishers via their RTB programmatic trading platform.